Nursing, a time consuming yet rewarding degree, taken on by dedicated individuals, is challenging enough in your native language. Furdiki Sherpa, a Nursing major and Health minor all the way from Nepal has navigated her way through the nursing field and clinical studies all in a second language. The decision to pursue a career in healthcare came easily to Sherpa, who would watch her aunt care for an uncle who dealt with multiple health issues while living in Nepal. “I always wanted to help and make a difference in people's lives. After high school, I realized that nursing was my calling and in 2008, I came to Vermont from Nepal to pursue my career as a nurse,” said Sherpa. After earning her LPN from Vermont Technical College in 2011 she moved her studies to Castleton in 2014 to achieve her RN. Castleton requires it’s nursing students to complete clinical hours at various health care sites, an experience that provided Sherpa the opportunity to work with different groups of patients. From pediatric, psych, geriatric, and general population, she found hands-on work at facilities such as the Rutland Regional Medical Center, Dartmouth Hitchcock, and the University of Vermont Medical Center. 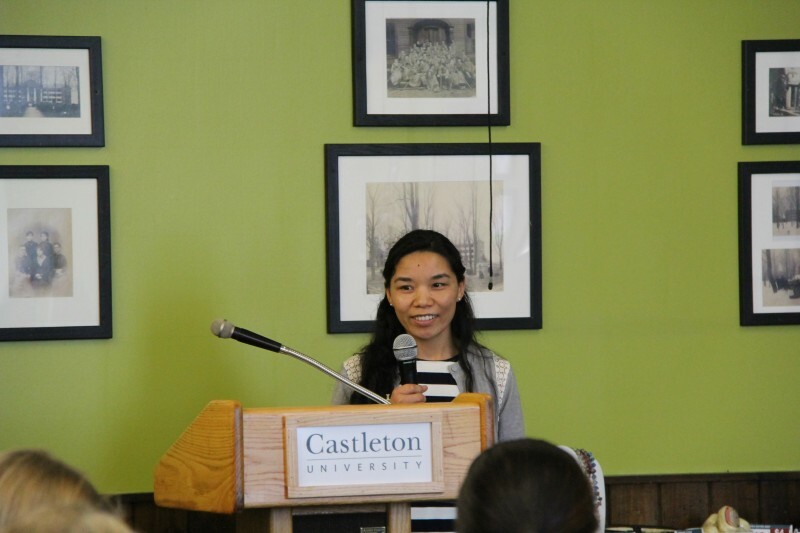 After graduating in May of 2016, Sherpa plans move to Burlington, Vermont where her family lives, to work full-time as a nurse and continue her education online through the BS in Nursing program from Castleton University.